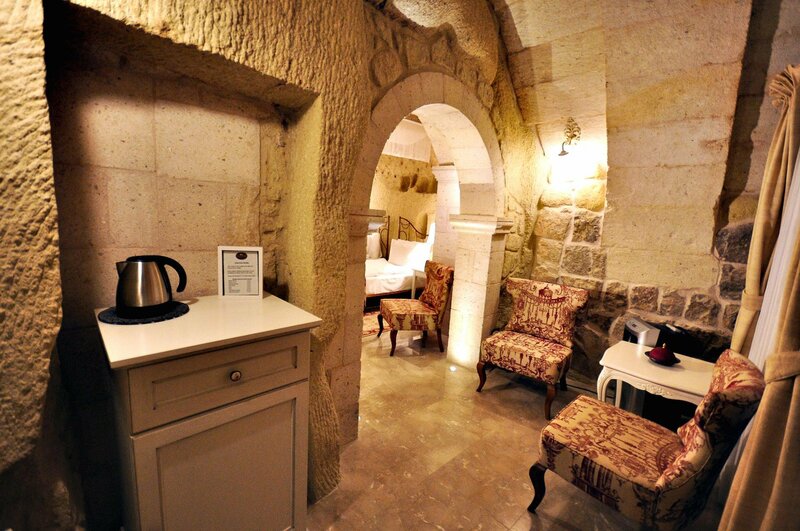 Suite 110 is a rock cave room with stone arches. 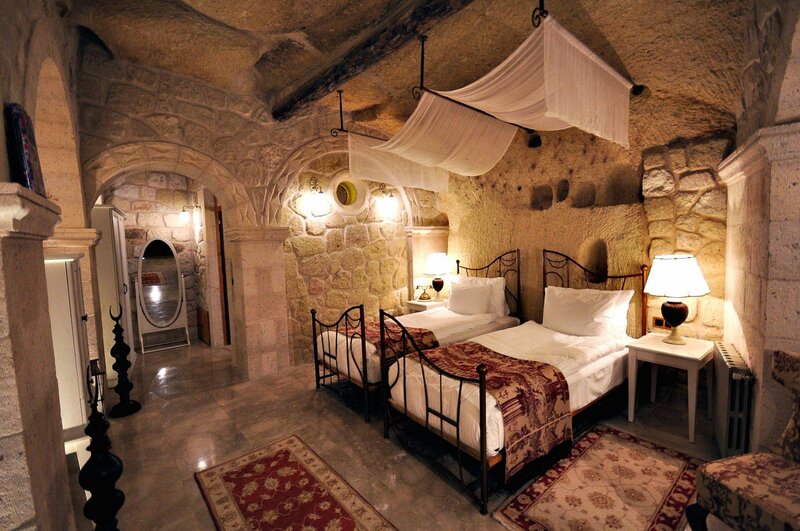 Originally this cave was thought to have been an extra room of the kitchen used solely for baking bread. Flatbread was baked on the ovens similar to those used today to make gozleme, stacked and then stored to be used to feed the family for the entire winter. Notice the small niches above the bed these were pigeon holes.Pigeon guano high in nitrogen was collected and used as fertilizer. 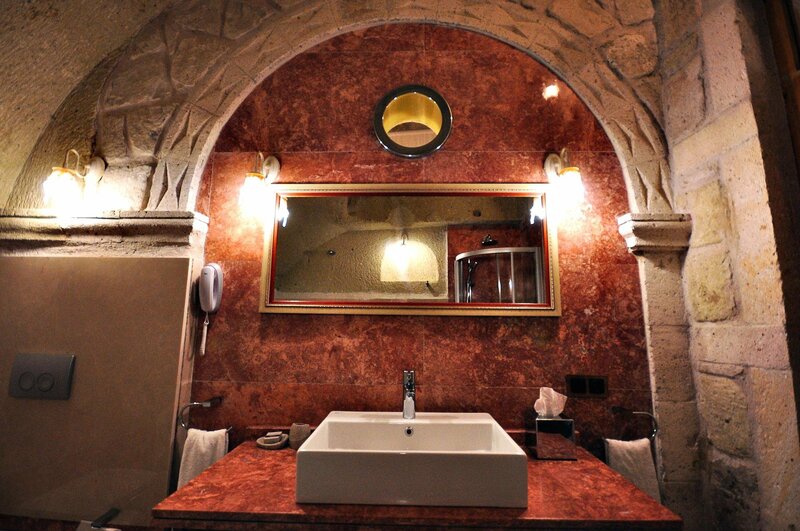 This room is in size 45 square meters with a private jacuzzi and shower. 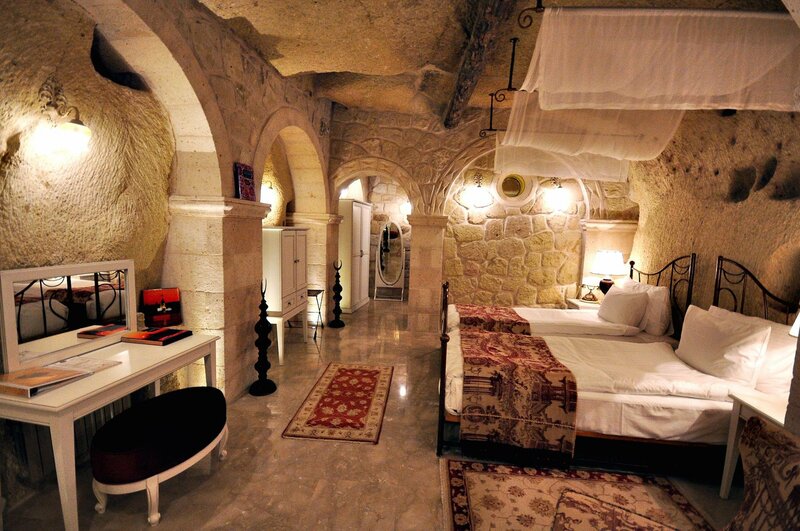 Enjoy the picturesque local village life passing by and the panoramic terrace view in this room. 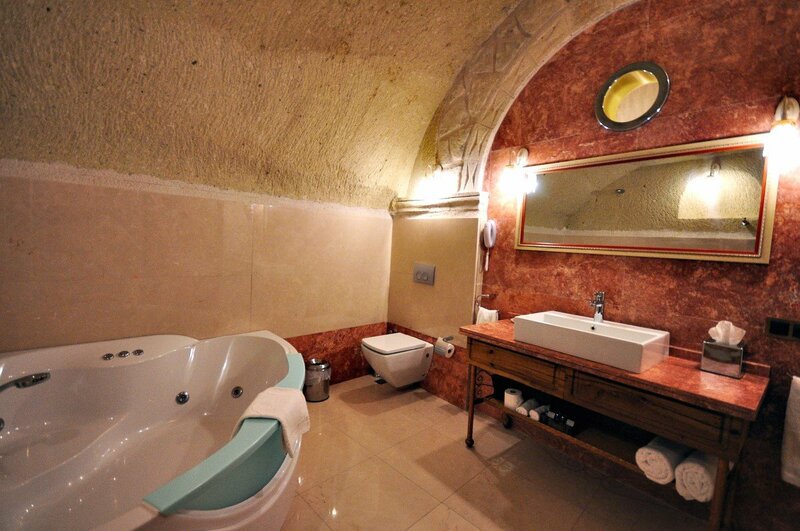 All rooms have tea & coffe set, wireless internet, complimentary water, safe box, filter coffee machine iron & ironing board, mini bar, TV, bathrobe, slippers and Molton Brown bathroom stationeries.